The Sunday sessions are famous at Blue Marlin and the perfect way to end your weekend – or start your week, depending how you look at it! The line-up next weekend reads like the Blue Marlin All-Stars: resident DJ Vidal Rodriguez spins the afternoon slot, P Brothers fuse live and electronic beats and Danny Avila, Tom Crane and Valentin Huedo finish off the night. 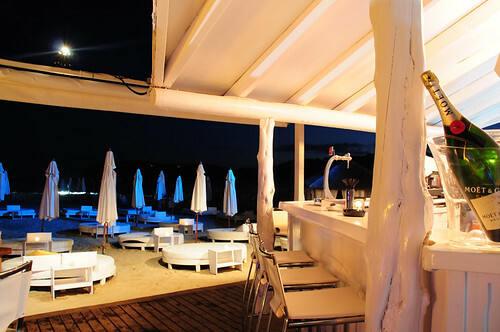 Blue Marlin’s famous Sunday sessions are already living up to their reputation as the place to be seen in 2012. Coming up next weekend is a special event featuring the originator of chillout, Jose Padilla presenting Los Charly’s Orchestra, a London based collective who bring their unique blend of retro and modern sounds – think the disco sounds of the ‘70s fused with a Latino perspective – to the shores of Cala Jondal, playing alongside Blue Marlin residents Tom Crane and Valentin Huedo. 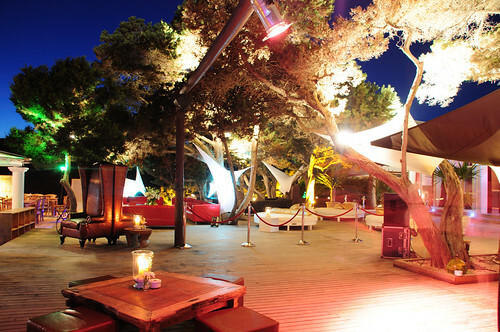 Ibiza’s most beloved beach club Blue Marlin is back in business! 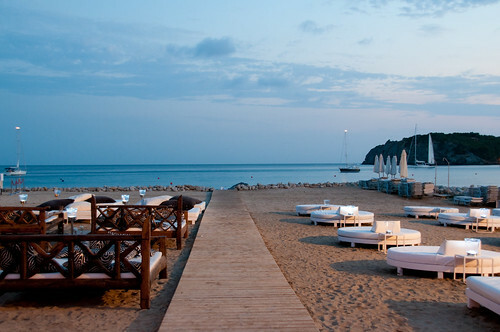 After a mega-opening weekend that saw Cala Jondal at full capacity, they’re now open seven days a week, with the first of the Sunday sessions kicking off on Easter Sunday with DJs Tom Crane, P.Brothers, Vidal Rodriguez and Valentin Huedo on musical duty for the occasion. 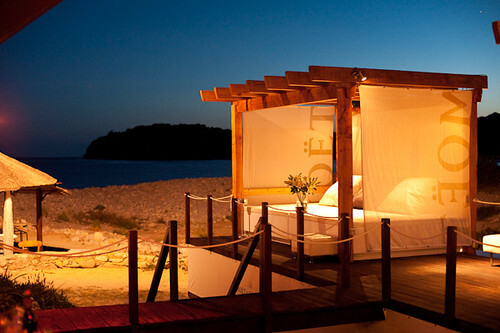 Book your daybed now to be sure you don’t miss out! 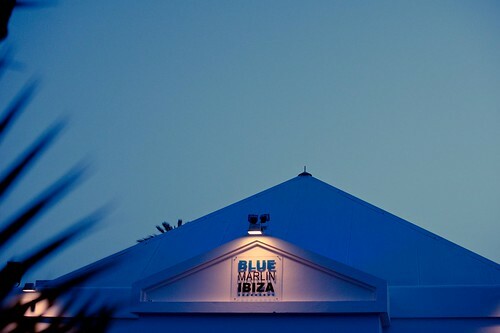 The Sunday afternoon sessions at Blue Marlin have become a thing of Ibiza legend, and this Sunday – the penultimate Sunday party – sees performances from Barbara Tucker & Vidal Rodriguez, Mr Fish, Sylvian Armand, Prosper Rek and Valentin Huedo. 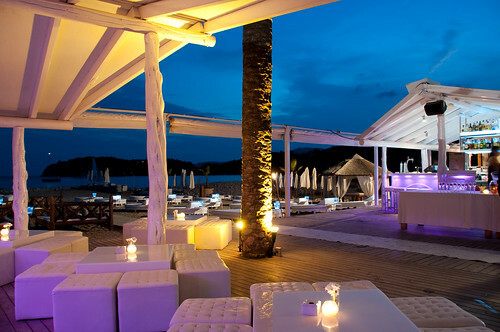 Legendary Italian club Peter Pan Club decamps to Ibiza this weekend, to host a full moon extravaganza on Cala Jondal, in the exclusive surrounds of Blue Marlin. With live music from Tommy Vee and Mauro Ferucci, performances by Mr Fish and resident DJ Vidal Rodriguez and Prosper Rek, it’s set to be one major party! From 5pm this Friday, stylistas descend on Blue Marlin at Cala Jondal for the Fashion TV party celebrating the launch of their Luxury Collection Vodka, featuring music by residents Valentin Huedo and Vidal Rodriguez plus Mina. Recorded and broadcast worldwide on Fashion TV, so be sure to be dressed in your best!